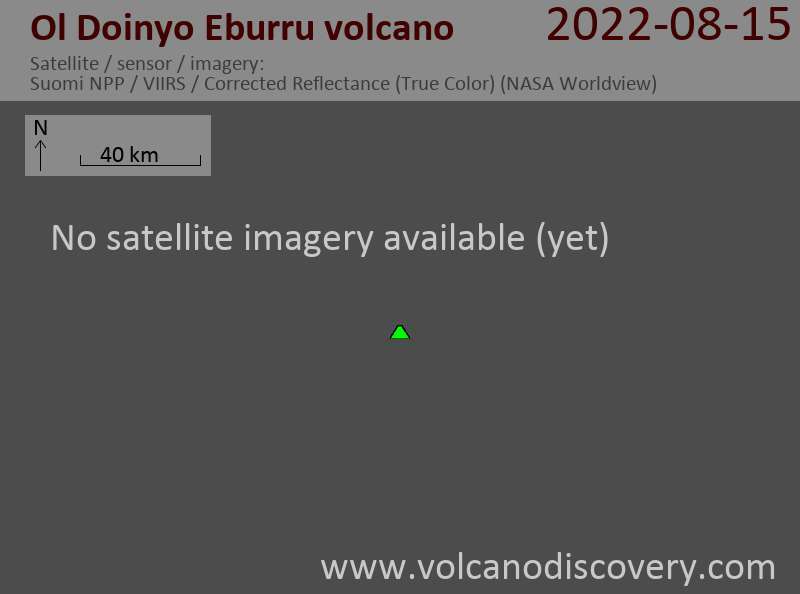 Eburru volcano is elongated perpendicular to the Gregory Rift NW of Lake Naivasha. The 2856-m-high, E-W-trending main edifice is eroded, but young partly vegetated rhyolitic domes occur on the east flank and are probably of Holocene age (Thompson and Dodson, 1963). Pleistocene phonolitic and trachytic lava flows are overlain by rhyolitic obsidian lava flows forming much of the northern and NE slopes of the main massif. A prominent late-Pleistocene rhyolitic lava flow from a SE-flank vents extends almost to Lake Naivasha. Extensive fumarolic activity occurs at cinder cones and craters constructed along dominantly N-S-trending faults cutting the massif.